On July 26, 2017, just after 9:00 am, Winnipegosis RCMP responded to a single-vehicle collision on Highway 20, 15 km west of Camperville, Manitoba. Early investigation shows the driver lost control and the SUV rolled. Two men were inside the vehicle. One of the men, a 23-year-old from Dauphin was pronounced deceased at the scene. The other occupant was a 22-year-old male, also from Dauphin. He received minor injuries in the collision. Investigators have determined the vehicle was stolen from Dauphin. 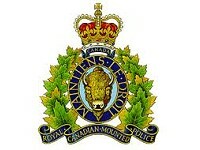 The investigation is ongoing with the assistance of a RCMP Forensic Collision Reconstructionist and the Criminal Crash Investigative Team.